(re-post from 3 Quarks Daily): Henry Morris, founding father of modern Young Earth creationism, wrote in 1977 that the Hamitic races (including red, yellow, and black) were destined by their nature to be servants to the descendants of Shem and Japheth. Noah was inspired when he prophesied this (Genesis 9:25-27) . 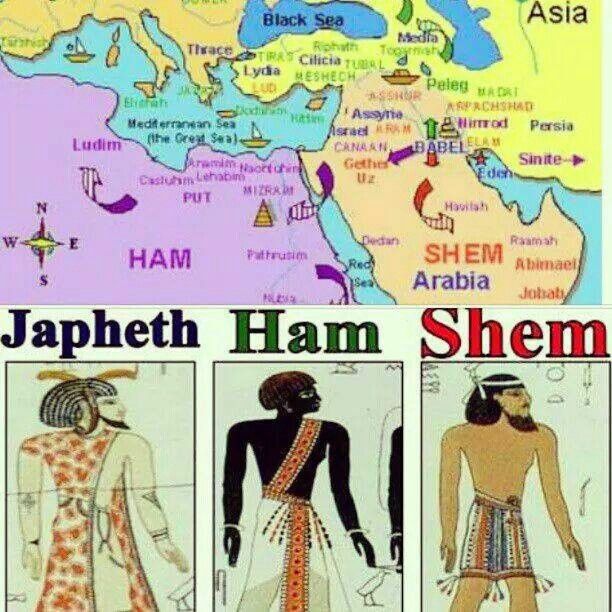 The descendants of Shem are characterised by an inherited religious zeal, those of Japheth by mental acumen, while those of Ham are limited by the “peculiarly concrete and materialistic thought-structure inherent in Hamitic peoples,” which even affects their language structures. These innate differences explain the success of the European and Middle Eastern empires, as well as African servitude. All this is spelt out in Morris’s 1977 book, The Beginning of the World, most recently reprinted in 2005 (in Morris’s lifetime, and presumably with his approval), and available from Amazon as a paperback or on Kindle. I am browsing school science textbooks published and marketed by an influential and nationally accredited US university. Here is what I find. 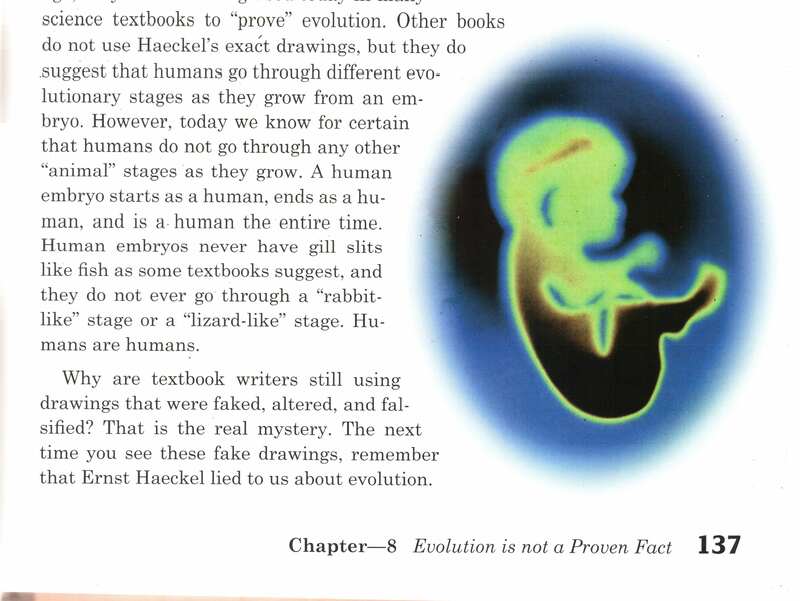 Satan wants people to believe in evolution. This is probably the main reason that evolution is so popular. Evolution relies on processes that cannot be observed, therefore it isn’t a scientific theory but depends on faith. The theory of biological evolution is not true because it contradicts the Bible. Many people believe in the evolutionary theory because they feel it eliminates God and lets them do what they want. Evolutionists are constantly finding evidence that runs counter to their claims, but discard it because of bias. The Flood is a better explanation of the fossil record than evolution. Missing links and common ancestors are absent from the fossil record because these organisms never existed. Sedimentary rock strata are the result of the Flood. Carbon-14 is formed in the upper atmosphere, but settles in the lower due to its increased density. Most dating techniques indicate that the earth is young, not millions of years old. Radiometric dating involves so much guesswork that it is unreliable. Earth Day is the Festival of a false god; but a Christian must be confident that the God who made the world is able to maintain it. And much more in the same vein. I came across all this rather indirectly. I recently saw a reference to someone, teaching at a non-accredited University in Albuquerque, who described himself as a Fellow of Oxford Graduate School. Having myself, many years ago, tried to become a Fellow of an Oxford college, and dismally failed, I was ready to be impressed. But then it occurred to me that Fellowships are not awarded by Oxford University, but by each of its component colleges. Moreover, despite six years at Oxford and two graduate degrees, I had never heard of the Graduate School as a separate entity. So I decided this was worth looking into. And so it proved. Oxford Graduate School may be of little importance in itself, but it pointed me to a world of absurdities, where a university can only win accreditation by denying scientific reality, where such accreditation is recognised by the US government, and where those at institutions accredited in this way have exerted influence out of all proportion to their numbers. Oxford Graduate School (OGS), like that place in England where they have been teaching since 1096, has the name “Oxford” in its title, and according to its web site it also calls its doctorate degree D.Phil. rather than Ph.D. And there the resemblance ends. Historicity. The full historicity and perspicuity of the biblical record of primeval history, including the literal existence of Adam and Eve as the progenitors of all people, the literal fall and resultant divine curse on the creation, the worldwide cataclysmic deluge, and the origin of nations and languages at the tower of Babel…. Biblical Creation. Special creation of the existing space-time universe and all its basic systems and kinds of organisms in the six literal days of the creation week. Satan. The existence of a personal, malevolent being called Satan who acts as tempter and accuser, for whom the place of eternal punishment was prepared, where all who die outside of Christ shall be confined in conscious torment for eternity. So if you think that the world is more than around 6,000 years old, or that the story of Adam and Eve is an allegory of our complex, flawed moral nature, or that the Earth is not cursed, or that there wasn’t really a world-wide flood, or that the division between the Indo-European and the Semitic-Hamitic language supergroups (to say nothing of Native American and aboriginal Australian languages) goes back to before the building of Babylon, or that there is any truth in the cosmologists’ succession of eras from Big Bang through quark soup to normal matter to galaxy and star formation to the birth of our own third-generation Sun seeded with the elements of dying supernovas, or that the terrestrial continents are not somewhere between 24 and 48 hours older than the Sun and Moon (depending on the exact chronology of Days 3 and 4), or that different kinds of organism share a common ancestry, or that Satan is not a real person, or that unbelievers will escape an eternity of conscious torment, then I’m sorry; you are just not measuring up to TRACS’ high standards. Because of the prejudice against creation-science, outspoken creationist schools such as ICRGS [Institute for Creation Research Graduate School] used to stand little or no chance of getting recognition through accreditation. But after an eleven-year effort, involving much prayer and hard work, as well as strong opposition, TRACS finally gained acceptance by the U.S. Department of Education and then by CHEA (Council on Higher Education Accreditation), the umbrella organization serving all accrediting bodies. In accordance with the Holy Scriptures, we promise to proclaim creationism within the space of six normal length 24 hour days (Gen. 1:1 to 2:3; Ex. 20:11). We reject all other views of creation, including day age and framework hypothesis. Whatever the reasons are for Alexander’s commitment to this position, stupidity is not among them. He is Phi Beta Kappa (the most intellectually prestigious of all US Honor Societies), J.D. from New York University’s Law School, and sometime Visiting Professor at Harvard. I can only suggest that the belief is functioning as a badge of group membership, further emphasised here by the use of words like “Covenant” and “proclaim”. On this view, for which I claim no originality, the belief should be considered as the price to be paid for belonging. If so, it has to be implausible, so that membership is not too cheap. There are many scientific evidences for a relatively recent creation of the earth and the universe, in addition to strong scientific evidence that most of the earth’s fossiliferous sedimentary rocks were formed in an even more recent global hydraulic cataclysm. However, the School realises that this evidence may not be strong enough for any Texas-recognised accreditation agency. TRACS, meantime, continues to exist, and to accredit, and at the time of writing lists 55 separate institutions as accredited and 10 candidates. 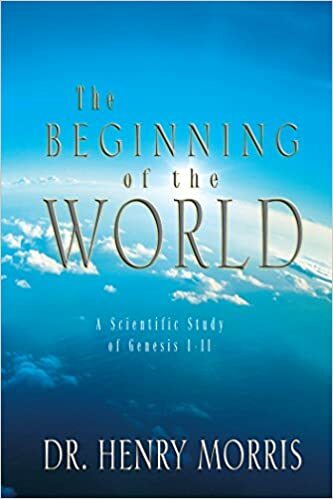 Liberty University, which I have written about elsewhere, carried its accreditation from 1984 to 2008, when it resigned; this establishment requires all students to undergo a course in “Origins”, taught from a Young Earth Creationist perspective. Membership, however, was purely symbolic, since its primary accreditation comes from the normally respectable Southern Association of Colleges and Schools (SACC). (Disclosure – it is SACC that accredits the University of North Texas, where I worked for many years.) The resignation, I suspect, was just one move in the strange feud between the Creation Research Institute and Answers in Genesis. Satan exists as a personal, malevolent being who acts as tempter and accuser, for whom Hell, the place of eternal punishment, was prepared, where all who die outside of Christ shall be confined in conscious torment for eternity. Husbands are the head of their wives just as Christ is the head of the church. Notice; creation is to be taught, not only as the revealed truth, but also as the best available science. 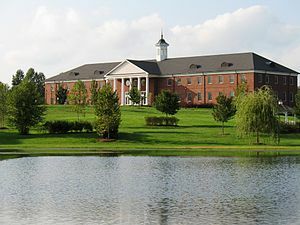 The College has around 450 students. With such small numbers, and such atavistic beliefs, you might imagine it to be a fringe institution of no importance. You would be wrong. The trustees include Janet Ashcroft, wife of John Ashcroft who was US Attorney General during George W. Bush’s first term as President, and the College sent seven interns to the Bush White House, as many as Georgetown University, a world-class institution with over 15,000 students. Nor do the graduates lack impact. The College reports that “one year after Commencement, approximately 54% of graduating seniors who had applied to graduate/law school were accepted to one of their top three choices”, while others have positions as associate producers at news outlets, or as editors in publishing houses. 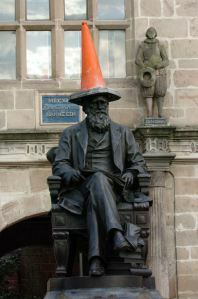 The College may have only a weak grasp of the last two centuries of scientific or biblical scholarship, but seems to have a very good understanding of networking and the nature of power. Finally, Bob Jones University (BJU), whose no doubt lucrative press is responsible for the statements listed in my first paragraph. A sometime powerhouse in Republican politics (both George W. Bush and Ron Paul spoke there while campaigning), although it has more recently taken a back seat. This is also accredited by TRACS and no one else. It has a relatively short written Doctrinal Statement, which specifies belief in “the creation of man by the direct act of God”, and spoken messages referring this to the literal Garden of Eden story. Bob Jones gave the Rev Ian Paisley an honorary degree, in 1966. [T]he Christian teacher of science … must have firmly implanted in his mind a biblical framework of truth which serves as the touchstone for his decision making. True science will fit that framework; anything that fails to fit the biblical framework must be rejected as erroneous. [O]nly degenerative processes are observed in stars and interstellar clouds. Nevertheless, it is speculated that such clouds are capable of organizing themselves into stars, a suggestion that flies squarely in the face of three and a half centuries of telescopic observations. Regrettably, evolutionary theory has been exalted to the point where men trust it more than their own eyes. From a scientific standpoint, evolution is at best an unsupportable and unworkable hypothesis, at worst a reprehensible lie that … runs exactly counter to the actual observations. Organic evolution, if it were ever to occur, would require the violation of certain well-established principles of genetics and thermodynamics. 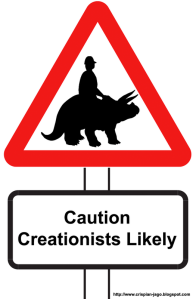 Paleontology (the study of fossils) likewise militates strongly against evolution: the mediating links required by the hypothesis are systematically missing from the fossil record. In reality, of course, radiometric dating uses multiple cross-comparisons between different methods, all scientific methods since the mid-1800s have given ages (free abstract here) in at least the tens of millions of years, Flood stratigraphy is incompatible with three centuries of detailed geological observations, and what we know about the evolution of feathers would fill a book. As for the last comment quoted, its conflation of astronomy with evolution is the least of its problems. Whoever wrote it must have been either strangely unaware of the Hubble telescope observations of stellar nurseries, and also of the long established richness of the fossil record itself, or else deliberately lying. 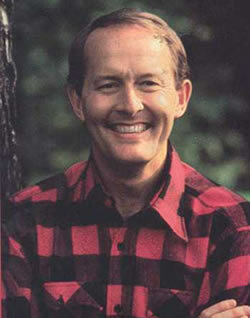 The modern environmentalist movement has its roots in pantheism, materialism, and evolutionism…. Only when we realize that environmentalism is part of the humanist’s religion can we begin to understand the zeal with which he pursues it. It would take a very courageous and resilient student, well informed about current science, to emerge unscathed from four years of this kind of nonsense, and such a student would be unlikely to have chosen BJU in the first place. Should we be concerned by all this, given that the University has fewer than 3,000 undergraduate students on campus? Yes, for many reasons. Its main impact is through distance learning, at both school and college level. BJU Press produces books aimed at all school levels, supplemented by homeschooling kits and a testing service. It is no accident that BJU’s own positions echo those in the school textbooks that I cited at the beginning of this article, since it was BJU that produced all of them, and these books are used, worldwide, by over a million students. And the cooling time argument for a young Earth, taught at BJU, was trotted out again this November in an attempt to sabotage the Texas schoolbook adoption process. These things matter. All from Bob Jones University Press. Satan … popular; Life Science for Christian Schools, 2nd ed., 1999 (LSCS) 161. Evolution … faith; LSCS 22. The … Bible; LSCS 146. Many people … want; LSCS 133. Evolutionists … bias; The Physical World etc. for Christian Schools, 2000 (PWCS) 12. The Flood … existed; LSCS 150. Sedimentary … old; Earth Science for Christian Schools, 2nd ed., 1999 (ESCS) 261, 265-6. Radiometric dating … unreliable; LSCS 159, PWCS 125, ESCS 269. Earth Day … maintain it. Science 6 for Christian Schools 236. The Professor whose name is on the flyleaf of ESCS promised pn 6 December 2013 to forward my concerns to his colleagues, but they have not as yet responded. The Greenville News reported in 2011 that BJU would seek accreditation from the Southern Association of Colleges and Schools, but I can find no more recent live links, other than hostile commentators. Some of its programmes, however, are recognised by professional bodies.